We don't have to go all that far from Malaysia to hear those kinds of accusations of "ignorant", "racist" and so forth spouting from the mouths and keyboards of largely urban based Malaysian liberals and "progressives", with such denunciations having been hurled at the Sarawak voters in the recent Sarawak state elections. What has Brexit got to do with the Sungai Besar and Kuala Kangsar by-elections? More than our so-called liberals and progressives think they know, writes Charles F. Moreira. 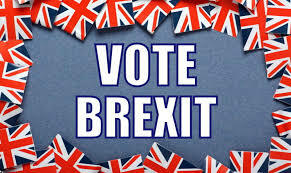 Less than a week from now, United Kingdom people will vote in a referendum on 23 June 2016, on whether the United Kingdom will leave or remain in the European Union. For those who are unaware, Great Britain comprises England, Scotland and Wales, whilst the United Kingdom comprises England, Scotland, Wales and Northern Ireland. So whilst people are in the habit of using the names "Britain" and "United Kingdom" interchangeably, they actually are different entities, just as "Malaya" and "Malaysia" are names of different entities, whereby Malaya (now known as Peninsular Malaysia) is a subset of Malaysia. This comes 43 years after the UK was accepted into the EU (then known as the European Common Market) in 1973, and 41 years after two-thirds of UK citizens voted in a referendum, in favour of renegotiated terms of membership of the EU. Results from public opinion polls today suggest that that there is a good likelihood that UK citizens could well vote to leave the EU and there are plenty of opinions arguing for or against, and many media commentators, economists and politicians predicting better or worse consequences for the UK economically, should the referendum result in a vote to leave. However, whilst the views of these largely intellectual and urban-based commentators are widely publicised in the mainstream media, the voices of those amongst the UK working class, mostly in the more impoverished parts of the UK such as the north of England, the East End of London, to some extent part of the Midlands, northern Wales and Scotland are rarely heard. I was a student in Salford, a part of Greater Manchester back in the 1970s. Salford is said to be at the heart of the industrial revolution and was reputed to be Europe's biggest slum and I saw evidence of poverty and run down houses in the working class areas of Salford, where in some cases there were no indoor toilets, where children ate out of garbage and so on. Now writing in The Guardian, Lisa Mckenzie who comes from a working class background reveals why the UK working class favours that Britain (well actually the United Kingdom) will vote to leave the EU in the referendum, in what is commonly referred to a "Brexit" or "Britain Exit). In her article which follows after this commentary, Mckenzie reveals that whilst UK workers are concerned over issues such as immigration, as the mainstream media portrays them, however their bigger concerns are over their economic security and well being. We don't have to go all that far from Malaysia to hear those kinds of accusations of "ignorant", "racist" and so forth spouting from the mouths and keyboards of largely urban based Malaysian liberals and "progressives", with such denunciations having been hurled at the Sarawak voters, more of whom voted for Sarawak-based coalition partners in the Barisan Nasional (National Front) coalition in the recent Sarawak state elctions. Besides economic concerns which no doubt was a factor in this result, Sarawakians (and Sabahans) are very protective of their respective states' territory integrity and don't quite welcome intrusion from Peninsular Malaysia, so they voted for their native Sarawak parties which are members of the ruling Barisan Nasional coalition - a formal coalition of 13 parties, rather than candidates of opposition parties from Peninsular Malaysia. It may surprise non-Malaysians to know that whilst Sarawakians and Sabahans can freely live and work in Peninsular Malaysia without having to obtain a work permit, a Peninsular Malaysian needs a work permit to work in Sabah or Sarawak and that it is easier for a Peninsular Malaysian to obtain permanent residence in the UK, Australia, Canada and New Zealand, than it is for us to obtain permanent residence in Sarawak or Sabah. The byelections in Sungai Besar and Kuala Kangsar will be held today (18 June) to elect replacements for the two members of parliament killed in a helicopter crash in Sarawak during the run up to the Sarawak state elections. It is predicted that the United Malays National Organisation (UMNO), could likely hold these two seats, either with the same slim majorities or as some predict, an increased majority. Well, if that happens, just watch the torrent of denunciations of these semi-urban voters as "ignorant", "racist", "stupid" and so forth from the largely urban-based keyboard warriors, "alternative" media and the commentators to articles on these "alternative" media - a relatively privileged, urban elite who care little about the economic concerns of lower income people and who rarely offer alternative solutions for such people, which runs counter to their mostly neo-liberal leanings towards Darwinist-style "survival of the fittest" and "the rest be damned". For such people, any kind of financial assistance and programmes to help alleviate poverty are anathema to their neo-liberal dogma of meritocracy, so how on earth can they expect to win votes from such constituents. Instead, they tout alleged misdeeds of key government figures with regards issues such as 1MDB, RM2.6 billion donation, Altantuya, etc, etc, etc. and they hope to win based upon these issues! Well, their stupidity is beyond belief. Such neo-liberal policies have held sway in Europe, North America and elsewhere in the world, especially since the time of Margaret Thatcher and Ronald Reagan, since when the rich got richer and the poor got poorer but in their neo-liberal minds, they either believed that such people could so easily upgrade their skills and "move up the value chain" to better paying jobs, but they did not see or want to see that there are fewer opportunities up the value chain and that instead, there would be more graduate unemployment or under-employment in lower paying service jobs which degree holders have to accept just to survive. It was a long time coming, but the proverbial worm has now turned, and it is not pretty, when in their frustration such people in Europe have swung to the far-right, such as in the recent Austrian presidential elections where the centre-left Green Party candidate barely won over the far-right candidate by a wafer thin margin of 0.6% and in the United States, there is the high likelihood that radical right populist Donald Trump could be elected the next President of the United States in November. It is reported that many working class Austrians who used to vote for the social democrats now voted for the populist far-right candidate in the presidential elections. This of course could be a protest vote, which may not be repeated in a general elections but still, sends a message of great dissatisfaction with the status quo on the part of the Austrian workers. In this two-part Real News Network video documentary, Walter Baier, an economist, a communist and now Coordinator for Network to Transform Europe explains the rise of the far-right as resulting more from socio-economic concerns and sense of betrayal by the traditional mainstream conservative, social democratic and liberal parties especially amongst the working class and middle class, rather than over concerns over the massive influx of refugees and fear of Islam. Baier goes on to describe how the conservatives, social democrats and liberals have implemented neo-liberal policies and have implemented policies of austerity. Baier who was a Chairman of the Communist Party of Austria describes how weak the far-left is today, so people have no recourse to turn to on the far-left which could serve as a counterweight to the far-right. He also explains the rise of the far right as resulting of popular concerns over the growing supra-national dominance of the European Union over the social and economic policies imposed upon the member nation states of the European Union. To understand the difference between their respective policies and policies and ideologies, social democrats (often called "socialists") believe in the gradual transformation of capitalist society and economy through laws in favour of the working class and their trade unions but in practice, they have mainly fought for better conditions for workers within the capitalist system. However, after the wave of neo-liberal capitalist policies which have swept the world, especially since Thatcher and Reagan, the social democrats have ended up implementing neo-liberal policies and have imposed austerity policies upon the people, perhaps with a "more human face". Communists believe in the replacement for the capitalist system which is based upon private ownership of the means of production, distribution and exchange, in which production is for private profit, with a socialist political and economic system in which the means of production, distribution and exchange are socially owned and in which production is for social need. And when the economic basis is different, the economic laws which arise from it will be different too, so where an economy based on production for private profit experiences periodic crises of overproduction, hence the capitalist economy goes through a roller coaster of booms and recessions, with workers being hired and retrenched as a consequence. On the other hand a planned economy based upon production for social need, will operate according to different economic laws from those laws arising from a capitalist economy. Many misunderstand economic laws to be immutable like the laws of physics, chemistry and mathematics, when like with social and political science, economics is an inexact science, in which its laws or more particularly the behaviour of an economy arises from its underlying principles upon which an economy is based, and very much depends upon the forces of supply, demand, sentiment, finance, industry, productive capacity and so forth within the foundation of a particular economy and its inter-relation with the forces of supply, demand, sentiment, finance, industry, trade and so forth within the rest of the world. The far-right (often referred to as fascists), are actually closer to the social democrats in that they policies of maintaining a capitalist economy, but a highly regulated one which includes a certain degree of state ownership of key industries and which serves the higher interests of the nation state, and to win and maintain the support of the small businesses, professionals and the workers for the nation state, the far-right provides them with certain social benefits and programmes in areas of housing, healthcare, education, old-age pensions and so forth. Whilst far-right regimes usually deny the independence of trade unions and instead replace them with unions which the government or ruling far-right party controls. In place of confrontation between workers and capitalists, a far-right regime enforces class collaboration in the higher interests of the nation state. In fact, Singapore under the Peoples Action Party has adopted many of these far-right policies of class collaboration and socio-economic provision based upon a foundation of a capitalist economy. Instead of labour disputes, Singapore has strong labour laws and unions there generally rely on recourse to the labour court and arbitration to settle industrial disputes. Therefore it is not surprising that unlike before World War II, when the far-left was very powerful with strong links to organised labour especially in Europe and also in North America and elsewhere, today with few exceptions, the far-left especially in Europe, the Americas and other parts of the world is mostly highly fragmented, with many squabbling factions , which despite their resolutions, statements and participation in mass demonstrations and public rallies, however have little or no influence or organisation within the core of the working class, hence the working class swing to the far-right. This is partly due to much of today's far-left parties and groups having begun within the student movement or some other segments of society besides the organised working class, so they have difficulty gaining traction within working class and leading it to fight for its own interests. Thus, such far-left parties and organisations resort to winning support and members from ethnic minorities in anti-racist and anti-fascist struggles, from women in their fight for equality, from religious minorities in defence of their rights, from lesbian, gay, bi-sexual and transgender (LGBT) in their fight for equal rights and against discrimination, through anti-imperialist and anti-war struggles and so forth. Whilst participating in these struggles and sometimes playing a leading role in them is fine, however they are peripheral to the economic concerns and struggles of the core of the working class to defend its interests, and without the influence within and the support of the core, such far-left parties and groups have not grown significantly beyond their niche of influence and support. So when the far-left cannot do much to lead the people to resist neo-liberal austerity measures being imposed upon them by their conservative, liberal or social democratic government and along comes the far right with promises to protect their jobs, public healthcare, public education, public housing, to protect their national, ethnic, religious and cultural identity and to solve problems within the economy, it is no surprise that especially during hard economic times like now, people in difficult economic straits will very likely turn to the far-right for recourse. Whether they deliver on their promises if they win is left to be seen but until then, such people will believe them and no amount of denunciation of the far-right as being racist, fascist, Islamophobic, anti-Semetic, homophobic, Islamophobic, reminders of the Holocaust, etc. will be likely to change such people's minds, especially when they looking for a government which will relieve them their suffering due to hard economic conditions. The bottom line in all this is the state of the each country's economy and the global capitalist economy as well. Those issue highlighted so many very relevant issues in knowing who u should support. You got to ask since u never know the party had that much money, and whether is there any money coming / leave the party coffers.Because 2.6bil was never in party account statement. Umno members shud ask why the 2.6bil was kept secret until it was blown out? What else was made secret? Thats only 4 basic questions umno members of kuala kangsar and sungai besar have to ask. As for 1MDB there are too much questions not only umno members but the people in general got to ask. Just name these three first. If the party or the options are lacking of these three qualities then how you gonna choose your wakil rakyat? If these basic qualities are missing then how the proposed wakil rakyat will look after u? And ah btw, there is an admission from the ruling party that u people are not choosing ur wakil rakyat. Because to a man from langkawi, wakil rakyat was paid by the government and not by rakyat and therefore nothing u rakyat can do about that. Its an own goal to be honest. Latuk, your argument is spurious for the simple reason that if Uncle Jibby and Kak Ros hadn't siphoned off billions for their boy to make softcore films, Chanel shopping, and bribing the KBU, the "working class" would have more spent on them. Those of us who care about little things like that will keep exposing it, the dedak eaters can chomp on their dedak and what's left of their integrity. The voters in Kuala Kangsar and Sg Besar have spoken. But let's ignore them, shall we? They don't know what's going on, right? They have never heard of 1MDB and can't think of themselves re the RM2.6 billion. Right? Pathetic lah, guys. You say with glee that international investigators are probing 1MDB and the RM2.6 billion scandals. Americans, Swiss, Singapore, among others. But you dedak-deprived cybertroopers have already made up your minds what the crimes were and who the crooks are. Can't wait for the investigations to be completed, eh? "Actually those 1MDB, 2.6 billions, and etc are valid issues in everywhere. Its not about whether those are international issues and not local issues"
I never said that such concerns are invalid. What I said is that are not top priority especially with rural and semi-urban voters who have other more important concerns with issues of their economic survival, than concerns over 1MDB, RM2.6bil, etc which tend to preoccupy middle class, urban people who due to them having their basic needs satisfied, have the time spend on being concerned about issues such as 1MDB, RM2.6bil, Altantuya, etc. And, when it comes to voting, such people will vote according to which party they believe will better serve their immediate concerns and to me, this is quite natural and the question is what assurances did the opposition parties give the people of Sungai Besar and Kuala Kangsar that they would better serve the interests of such people than the BN could. I find many pro-opposition people like you tend to expect such rural and semi-urban voters to view issues according to your perception and viewpoints, when in order to win over such people, you should see it from their perspectives and viewpoints. In short, you should put yourself in their shoes. 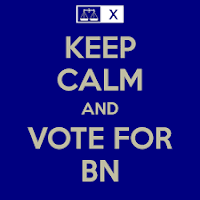 This is what the BN has been good at doing all along, which is why it been voted back every time since independence or shortly before independence. 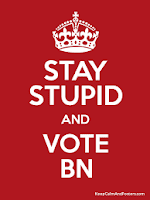 I was like you up till about 10 years ago and was puzzled why the BN kept on winning, until I realised that rural and semi-urban people who deliver the seats in parliament to the BN think differently from an overseas educated, English literate, urbanite like me. And if you think it's different in all urban Singapore, no. I had expected that the opposition in Singapore would gain some seats in their 2015 general elections but instead the ruling PAP gained back one seat from the Workers Party and gained in popular votes. Upon analysing the 2015 election results by constituency on the Singapore Elections Department website I discovered that PAP got above 70% of the votes in those constituencies with many heavy industries, ports or shipyards, hence presumably a higher proportion of manual workers - constituencies such as Jurong, Tanjong Pagar, West Coast, Pasir RIS-Punggol, Sembawang. Since it was too early to find in-depth analysis of the 2015 results, I found an analysis of the 2011 election results which found that voters with Year 12 or less education almost exclusively voted PAP, whilst the higher one's education level, income level, the higher one's level of computer and social media savviness, the more one tends to vote opposition. In short what this study reveals is that a rather privileged minority vote opposition, whilst the majority vote PAP. The report also revealed that each Singapore constituency has a majority of public apartment dwellers over landed property dwellers, hence a higher level of lower income Singaporeans per constituency. And this could be evidence of the PAP government's style of Gerrymandering to try to ensure its continued victory. So as long as the PAP government can continue to satisfy the concerns especially of the lower income electorate, it most likely will continue to get their vote. Unfortunately, I am unable to locate that report online this time but this report reveals that what the PAP government is doing in Singapore is not very different from what the BN is doing to continue to win in Malaysia. 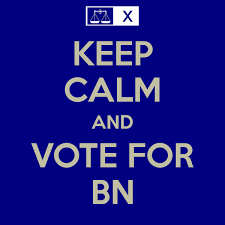 This is how the elections game is played on the ground in the real world and so far, the BN has played this game well. The name of the game is not to try and please everybody but to identify a core majority constituency and try to satisfy its concerns well. "Pathetic lah, guys. You say with glee that international investigators are probing 1MDB and the RM2.6 billion scandals. Americans, Swiss, Singapore, among others. But you dedak-deprived cybertroopers have already made up your minds what the crimes were and who the crooks are. Can't wait for the investigations to be completed, eh?" Someone e-mailed me a report about the ongoing investigations related to 1MDB, Jho Lo, etc and I replied that so far, none of the investigations have touched upon on Najib and that until the investigators in Singapore, Switzerland or the US actually bring a case against Najib, it is a waste of time talking about has future. Also, if they do manage to bring a case against Najib, then they will have to try him in court and find him guilty. After all, reports alleging impropriety were made to the banking authorities of these three countries and they must investigate and that will involved request information from Malaysia and so forth but we still do not know what investigations will reveal once completed, so why waste time speculating before either something concrete or nothing results which can implicate Najib in particular. This is how legal processes works in the real world and not in the kangaroo courts of the media, public perception or in the conversations of coffee shop politicians. Rather interestingly, in coffee shop conversations, even qualified lawyers believe the hearsay that Najib is already guilty, even before any case has been brought against him in a court. I'm no lawyer, yet I know this, so it appears that these people are lawyers only whilst in court and lawyers burok when outside.